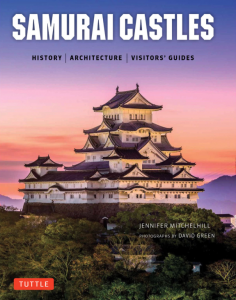 Tuttle Publishing has recently released two books: one showcases the capital of Japan at its hippest and most colorful, while the other is dedicated to the traditional splendor of its castles. “Capital of cool” sounds like an appropriate phrase to describe the host of the next Olympics. Rob Goss’s largely pictorial tribute to Tokyo certainly succeeds in making potential visitors to the capital salivate. 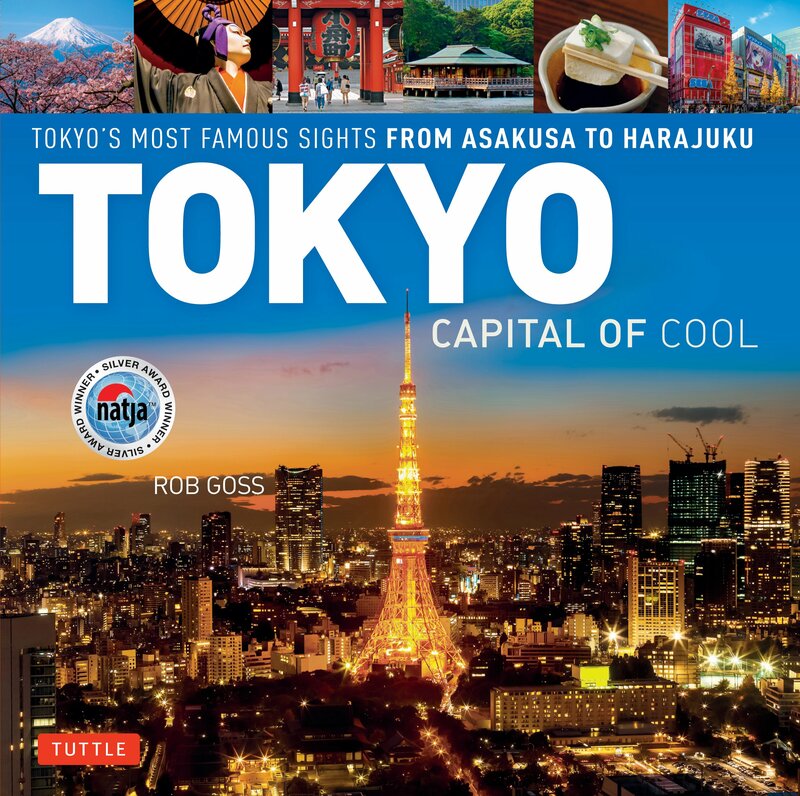 Subtitled Tokyo’s Most Famous Sights from Asakusa to Harajuku, Goss’s work doesn’t intend to be the typical travel guide containing useful recommendations about transportation and accommodation. 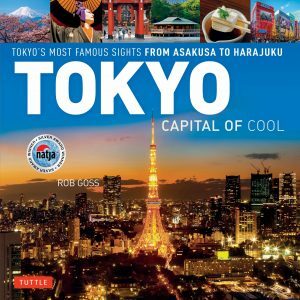 Most importantly for readers, Goss provides extensive information (much of it historical) about Tokyo’s most popular tourists areas. Of course, the fun of a Tokyo trip isn’t just limited to Shibuya, Ginza, Harajuku, and the rest Goss includes segments devoted to common day trip excursion sites like Kamakura, Nikko and Yokohama. While the photographs are obviously the first thing that jumps out at readers—indeed, Ross scores at portraying Tokyo as a youthful, vibrant city—the images are definitely not the only useful tool for prospective visitors. Several maps appear in the book, displaying places of interest that even seasoned travelers may not be aware of. Castles are lot more than opulent fortresses to gaze at—these palaces represent an integral facet of Japanese feudal and military history. That’s the biggest takeaway readers will get from Jennifer Mitchelhill’s Samurai Castles. 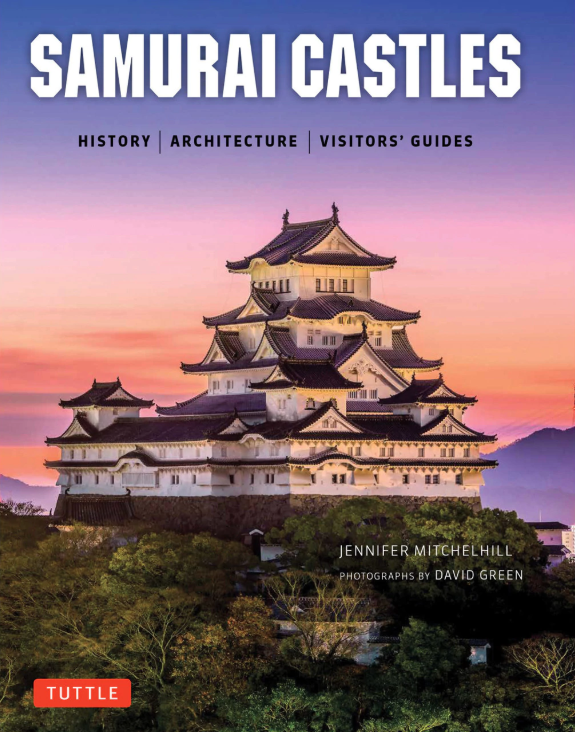 Her work (complemented by photographs from David Green) provides a comprehensive introduction to two dozen of Japan’s most prominent castles. History buffs are treated to more aforementioned locales as the author then lists Japan’s 100 most important castles. However, before seeking out what venerable fortresses might be in an off-the-beaten prefecture, the author expounds on their rich history (whose use was first recorded in an eighth-century work entitled Nihon Shoki). Architecture aficionados will appreciate the chapter dedicated to such structures, and if you’re motivated to visit one of Japan’s more prestigious castles, you’ll have some idea what you’re looking at, since Mitchelhill supplies meticulous information about each castle, as well as practical tips for prospective visitors. For more information, visit www.tuttlepublishing.com.